The Plant is a location where the material is kept. 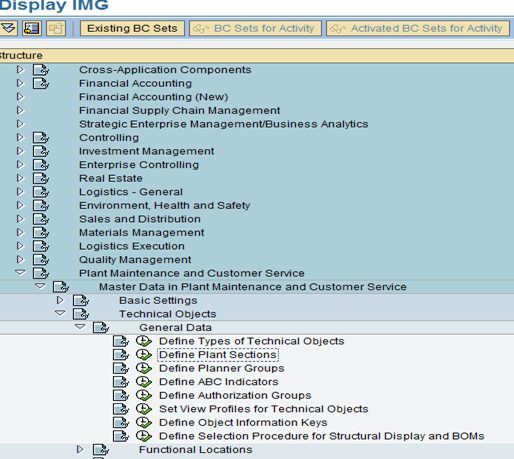 It represents a production facility or material requirement planning in SAP system. In SD, a plant represents the location from which materials and services are distributed and corresponds to the distribution center. Material relevant stocks are kept here. 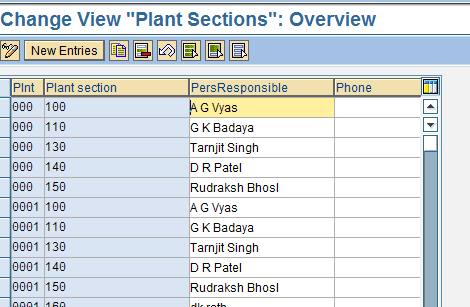 A plant is assigned to a company code. 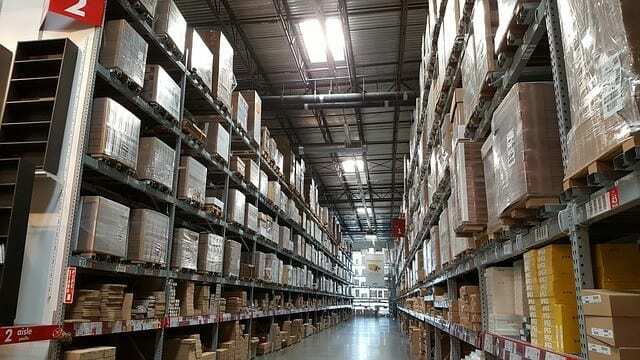 Inventory valuation is done either at company code level or at the plant level. However, the stock is managed at the storage location level. An assigned delivery plant is based on the combination of the sales organization and distribution channel so in essence, the Plant is a central location for SD and is essential for the determination of shipping point. In the absence of the delivery plant determination there can be no automatic determining of shipping point or automatic tax determination and no ATP check can be carried out and such no outbound delivery can be setup. After defining and naming your plant (this instance creates just one plant) you are going to define storage places within the plant. Storage places allow for obtaining of garbage and storage of semi-finished and finished products. Following the development of the storage places, you are going to define buying organizations and personal customers inside the buying organizations. Buying organizations are in charge of obtaining goods for the production procedure and operation of the company in general. The personal customers are members of the buying organizations and might lead to buying special things. Each buying organization must be delegated to your plant and might be imputed to an organization code. After making and explaining these new places, you are going to delegate them for your business code to make the plant and buying organizations your own. There are 5 steps needed to configure the planning plant. 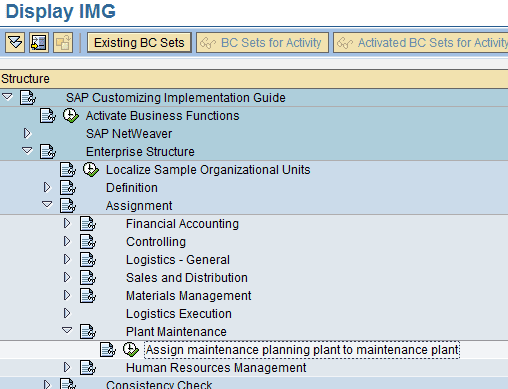 Menu path:-Display IMG >Enterprise structure>Definition>Plant Maintenance>Maintain Maintenance planning plant. 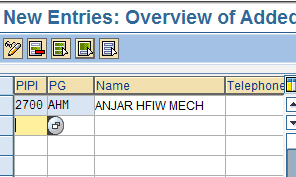 Click on new entry and create new planning plant. New planning plant 2700 is created. 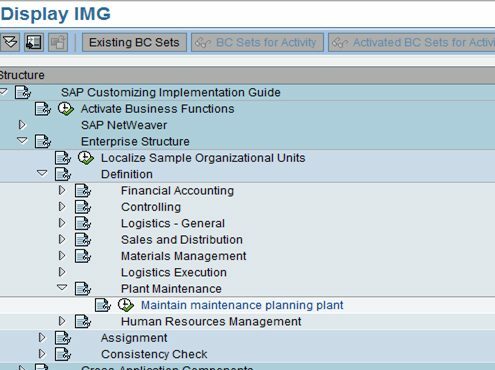 Menu path:-Display IMG>Enterprise structure>assignment>Plant maintenance>Assign maintenance planning plant to maintenance plant. 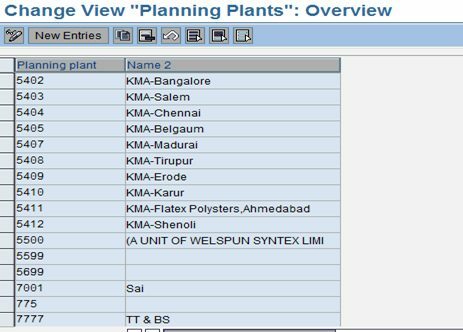 2700 planning plant is assigned to maintenance plant. 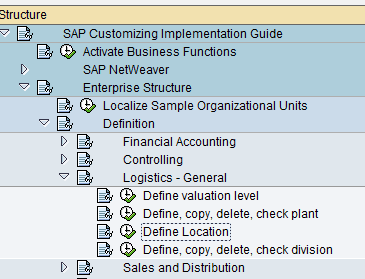 Menu path:-Display IMG>enterprise structure>Defination>Logistics general>define location>save>transport request. 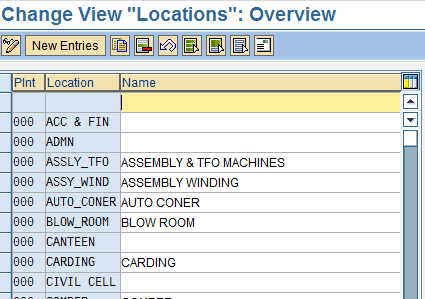 Click on new entry and create plant location. P01 & P02 PLANT LOCATION IS CREATED. 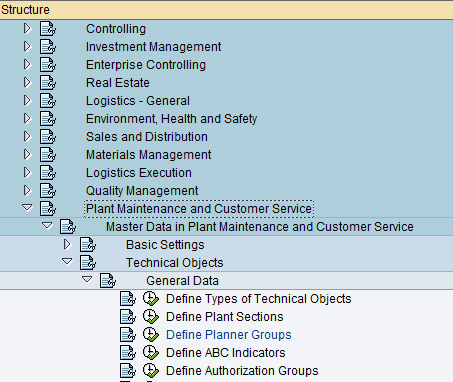 Menu path:-Display IMG>Plant maintenance & customers services>Master data in plant maintenance & customers services>Techanical object>General data>Define plant section. 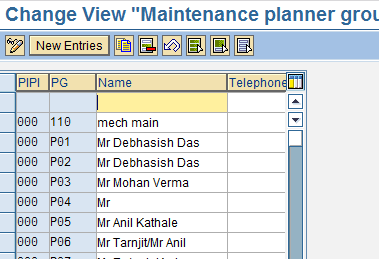 Menu path: -Display IMG>Plant maintenance & customers services>Master data in plant maintenance & customers services>Techanical object>General data>Define planner groups.